The ribollita is one of the most famous Tuscan soups. Notes to the recipe: the name ribollita (reboiled) is due to the fact that this soup was reboiled for many times on the stove, by adding each day new ingredients (usually from the home garden). 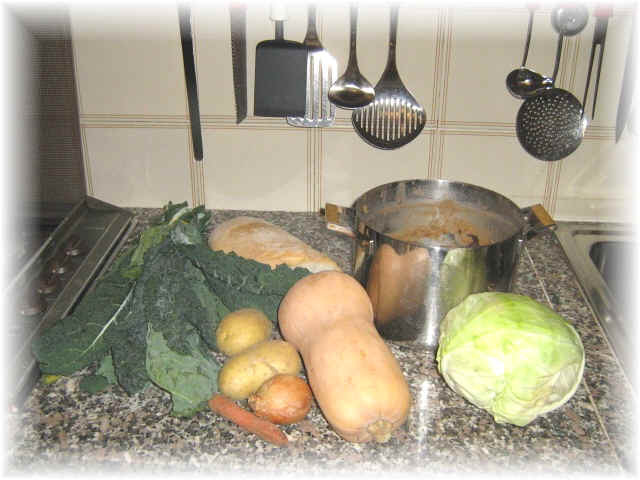 So it does not exist a recipe with coded doses: each winter vegetable is suitable, combined with mixed legumes. The only coded ingredients are: black cabbage or Tuscan kale and the old stale Tuscan bread (it is a bread without salt). The proposed recipe it is a suggestion, to be personalized by your creativity and depending...from the ingredients available in your refrigerator, the new version of the home garden. 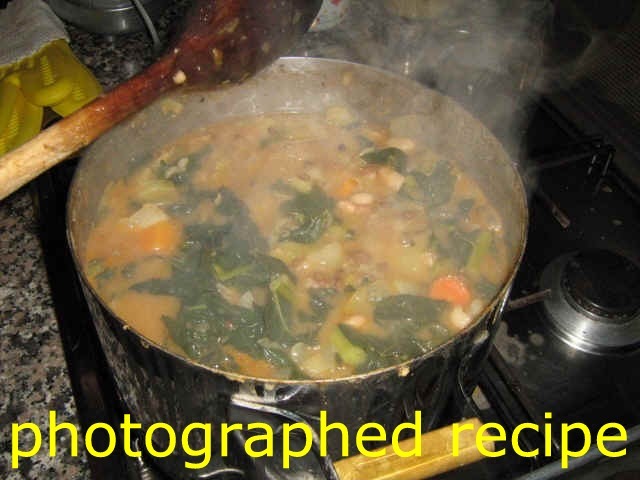 For making the ribollita use the mixed legumes soup as basis, as show in the photographed recipe.